If you were to ask people on the street what their New Year’s resolution was, a large number of them would tell you that saving money or managing debt were the promises they’d made to themselves for the year to come. Being more aware of, and consequently more skilled at managing, our finances is an incredibly important and widespread worry, and it’s easy to see why – money, as they say, makes the world go round, so worrying about where it’s coming from or going is natural. If you’ve ever made that New Year’s resolution in the past, then there’s a good chance you’ve failed to keep it, and that’s fine; it’s not shameful to ask for help, especially when it comes to one of the most important aspects of your life. 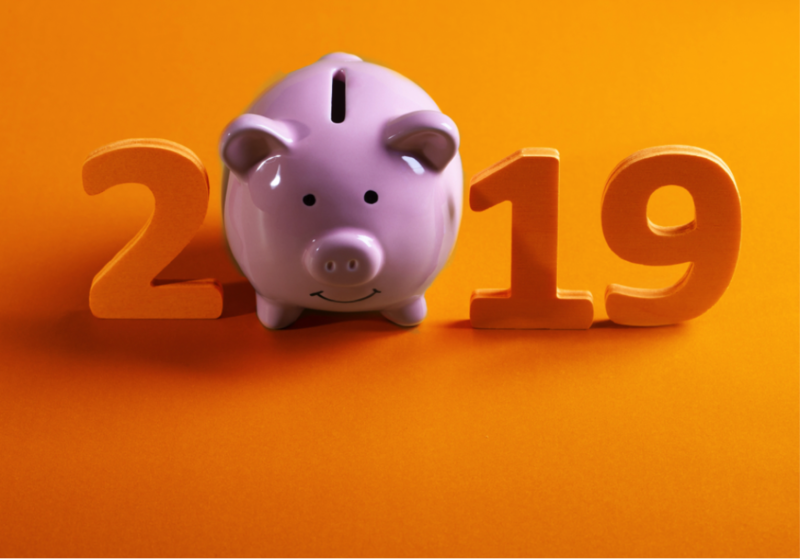 We’re here to tell you how you can manage your money better in 2019. If you’re anything like us, your smartphone is constantly with you. You’re checking the news during downtime, scheduling meetings with friends and colleagues, and maybe even killing some time with a few rounds of Angry Birds. What you’re probably not doing is managing your finances via an app, but that’s a fantastic way to get started with better money awareness. Apps like Spending Tracker and Mint offer intuitive, straightforward visual representations of your incomings and outgoings. If you’ve picked up a logbook loan from a trustworthy provider (hopefully), for example, you can log that in Spending Tracker or Mint, and inputting your repayment schedule will allow you to keep track of it and be warned when a repayment is imminent. Using your phone to track your finances is just common sense, and it’ll lead to better money management in 2019. We’re very fond of telling people that they should stick to budgets they create, and it’s true. According to a Gallup poll, roughly 41% of people in the USA create budgets for themselves; this is an impressive statistic, but it’s still not the majority of people. Creating a budget helps you understand your money in a realistic sense: where it’s going, how much can be spent on certain things, et cetera. Sit down one day when you’re not doing anything else and jot down your salary, all the bills you can remember (enlist the help of your family if you can), all your subscription services and everything else that regularly goes out of your bank account. See how much is left, and if you’re in the red each month then see where you can make changes. Budgeting is an essential skill if you’re looking to improve your financial health. You might be sitting on a veritable goldmine in terms of possessions you’re no longer using and not even know it. If you’re a hoarder – not someone with the very real psychological disorder, but rather someone who simply collects objects without practically doing anything with them – then your collection could well contain things that are worth serious cash. Selling old CDs, vinyl records, movies and other things you own could rake in some money, while old electronics and appliances could be taken apart for scrap or re-used by someone who needs them. There’s not usually any reason to hang on to objects that are well past their usage point – as Marie Kondo says, if an object isn’t bringing you joy, you don’t need to cling to it. Let someone else derive joy from that thing, and let yourself reap the profits. Don’t get us wrong – we’re not suggesting you immediately up sticks and completely change your life. However, if your salary just isn’t enough to live on a day-to-day basis, then perhaps it’s time to consider a career change. At any given time, millions of people are thinking of changing their careers, so you’re never alone if this is something that’s occurred to you. You could be undervalued at work, with nobody appreciating the contributions you’re making; you could be underpaid for the amount of work you’re doing; or you could be massively overworked, earning a reasonable salary but never able to spend it because all of your time goes on working. Whatever the reason, a career change might be the shot in the arm you need to manage your money better and earn more of it. Do you really need to go out for that meal? Is it really a good idea to get a second takeout meal this week when you’ve already had one? Could you perhaps save money by not going to the cinema and watching one of the many on-demand movies or DVDs you’ve been meaning to get around to instead? There are always little ways to spend less money in life and still do the things you love. Look into subscription services instead of spending money on cinemas constantly. Ditch the car and go public transport – it’s usually cheaper, especially if your commute is fairly short. Look into free ways you can play sports or exercise rather than joining a costly gym. You’ll save lots of money by looking into “life hacks” that won’t just help you manage your money better, but will encourage you to spend less of it, too.